CutFab’s flexible plugin system allows us to develop custom CNC generation to support any knife cutting machine. We already directly support the vast majority of popular knife cutting tables, but we can quickly add support for your knife cutting table or special requirements. Additionally, numerous knife cutting machine vendors have directly integrated with our software to allow seamless communication between their own software and CutFab, allowing you to access the world’s best nesting, but without replacing your familiar software. We are happy to work with any vendor to ensure we can meet your needs. When cutting composite materials for plys, you are almost always cutting multiple kits of parts that share the same material. However, for ease of production or due to using software not designed for your industry, it is common to only cut one kit at a time. CutFab treats kits as first-class citizens, which allows you to start to mix pairs (or more) of kits together. Our experience with multi-kit cutting companies has proven to us that combining kits in pairs alone can result in between 5% and 10% of material savings. This is achieved by allowing the amazing nesting algorithms to explore more combinations within the larger nesting and the removal of arbitrary kit nesting edge boundaries. CutFab’s inherent understanding of kitting environments, in combination with our excellent support for printing technologies and our LightSpeed onto bed projection system, means CutFab can save you both material and time without impacting the complexity of picking and kitting downstream. CutFab can monitor real cut times directly from your cutting machine and track true material usage, including recording material flaws and wastage. Knowing the difference between what you expected to happen and what can really happen will help you identify problems and improve your throughput and material utilisation even further. The data collection can be customised to your requirements to integrate with your planning and production systems, which allows you to get a real time overview of what is happening in your business and identify issues that are costing time and money quickly. By nesting at true zero part spacing and using our smart toolpath generation, CutFab allows you to reduce your cutting times and material utilisation by removing common cut lines from your nest. Your nest will cut faster and the nesting itself will use less of your valuable raw material. Occasionally it is useful to be able to control certain specific machine functionalities, without having to consult with the software development team for a new software version. CutFab’s customisable CNC generation functionality is built with this in mind. You can change, add or remove CNC instructions in the automatically generated CNC via a simple-to-use CNC customisation screen. If this level of control is not enough, our software development team are experienced in understanding your requirements and quickly customising CutFab to ensure you get the level of control you need. CutFab can support a wide range of machine inkjet printing technologies to allow you to print information directly onto your cut shapes. This can open up a wide range of options for your production and help organise processes downstream. 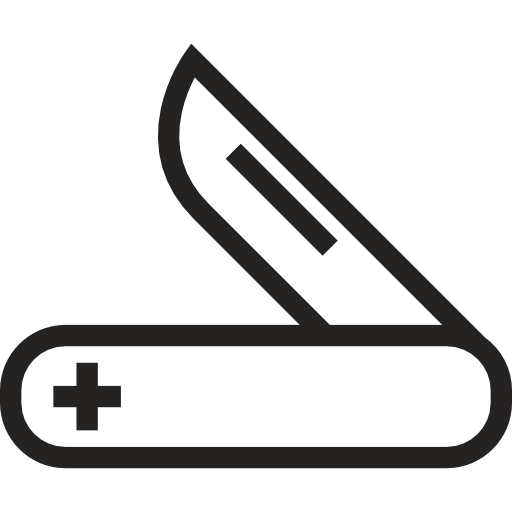 Additionally, CutFab can automatically convert text entities into pen movements, so even if you don’t have inkjet capabilities on your machine, you can mark your parts by assigning text onto your pen tool. CutFab contains a sophisticated cutting time estimation and simulation tool. By knowing the various speeds your cutting machine achieves for cutting and head up down movements etc., CutFab uses a true physics simulation engine to accurately predict cutting times for a cut job. CutFab’s simulation engine will show you how the generated CNC will run on your cutting machine real-time, so you can check cut orders, feeds etc. You can also be certain of how your machine will run for a job, without even loading the CNC onto your machine. CutFab’s cut path and travel path optimisation are implemented using artificial intelligence techniques to improve your cut times. By minimising unnecessary cuts and ensuring cuts respect your cut shape geometry, our automatic nesting engine delivers CNC generation which will save you time and produce high quality repeatable outcomes. This is CutFab’s killer feature! The world’s most efficient automatic nesting algorithms in CutFab have proven to be unbeatable in all application areas. You can expect immediate material savings of up to 20% over your current nesting solution. Our team is more than happy to prove this to you and will provide evidence for your assessment, using your own nesting examples. Get in touch today to be amazed by our nests. CutFab is designed from the ground up for knife cutters, however, we realise that every business is different and having software tailored to your exact requirements can multiply its usefulness by orders of magnitude. If you need custom behaviour, reporting, integrations or anything else, our software has been designed for this from its inception. Our expert software development team can work with you to help define and develop customisations as required. Contact us to discuss the things you will need from CutFab over and above its phenomenal out of the box functionality. When parts are cut over more than one frame, material movements can lead to cut imperfections. Our Smart Framing functionality will vary feed lengths and which parts are cut in each feed frame to avoid cuts in a part made in more than one frame. When cut quality is paramount, this is the mode for you. First article cuts are a great example of a time when this might be very useful. Remarkably, cutting time is barely impacted when using this mode, so you can make it an everyday option if you need to.